The Hotel is a three storey high building with 76 rooms and Two Conference Rooms. The first floor consists of a 24 Hour Reception which aids easy check in -especially for those who travel late, Information of Rent-A-Car Service, with vehicles permitted to leave on departure at the International Reina Sofia South Airport. The Bar/Restaurant which has a Daily Menu and a large Dining area. A Games room/Conference room. There is an Internet Room available 24 hours. The First and Second Floors consist of Rooms whilst on the Third floor you can find the Gymnasium, Second Conference Room and the Swimming Pool with a 700 mts Chill out Terrace. There are 2 conference rooms available, fully equipped and can hold 70 people. 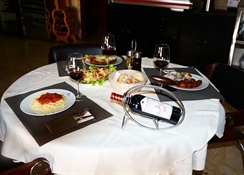 There is also a bar and restaurant (70 people) where a Daily Menu is served. 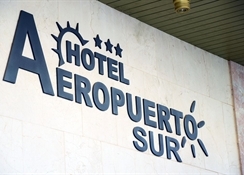 For its situation the hotel is ideal for clients who practice kitesurf or trekking, for those who travel (Flights) to/from the South Airport and Business Travels. 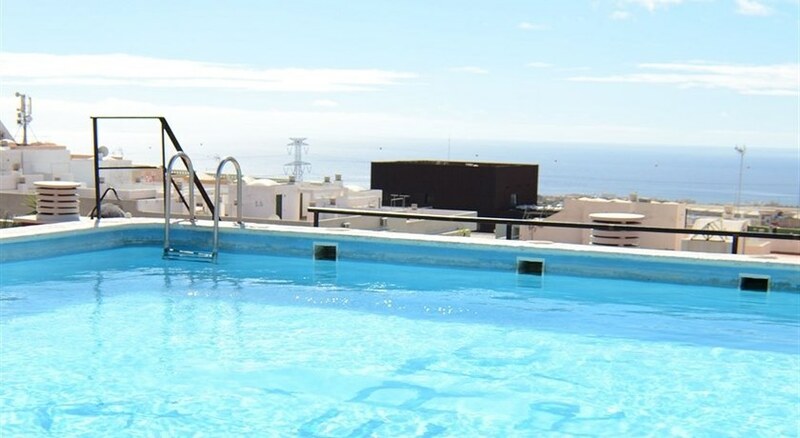 The Hotel Aeropuerto Sur is located in San Isidro, just 2 kms away from the Reina Sofia South Airport; 3 kms from the El Medano beach; and 10 kms from Los Cristianos. There are Bus Stops nearby for public transportation to reach these locations and for connections to other parts of the Island. There is also a taxi service which can be called for from reception. The capital Santa Cruz de Tenerife is 50 kms away. The hotel has 76 rooms all equipped with their own Private Bathroom, Telephone, Satellite Television, Safety Deposit Box and Balcony. 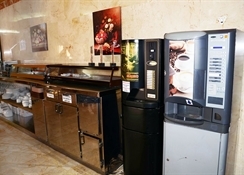 Hairdryers, Irons and Refrigerators are Available upon request from Reception. From the Reina Sofia (South) Airport: Take the TF-1 motorway in direction of Santa Cruz. Take the exit for San Isidro/ Granadilla/ El Medano. Cross the flyover (bridge over the motorway). After crossing the bridge you come to the entrance / beginning of the Town San Isidro. There will be a road parallel to the Main Street on the right hand side. –Take this road (A taxi stop is along this road also), and continue four streets up until reaching Calle Benchijigua on the right hand side. Turn down this road and here is for the entrance to Hotel Aeropuerto Sur.